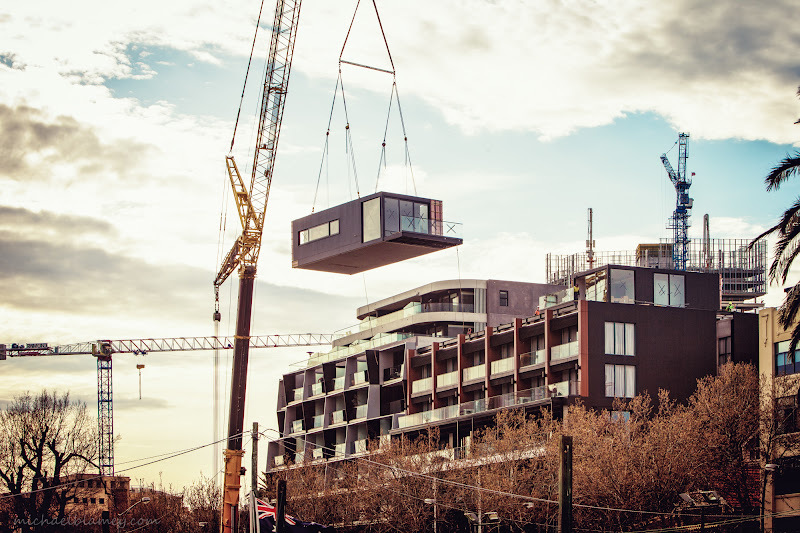 St Kilda Today: More cranes, more homes, more people, more fun? — at Fitzroy Street - St Kilda. That looks interesting. Could that be a prefab apartment being hoisted to the top of the building? Have a wonderful sunny weekend!